The New Three Stooges premiered in 1965 and featured animated cartoons with the voices of the Stooges – Larry, Moe and Curly Joe – as well as real footage 'wraparounds' of the three comedy greats performing short skits to accompany the cartoons. Now, for the first time ever and marking the 49th anniversary of the show, this collection features all 156 cartoons, plus all 40 live action sequences exactly as they originally aired. Perfect for collectors as well as the entire family, this special embossed package also includes a BONUS CD featuring 12 kids sing-along songs and 11 Christmas songs performed by the Stooges. 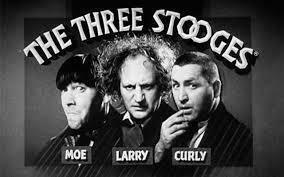 My Experience: I grew up watching old reruns of the Three Stooges. With this cartoon collection, The Stooges legacy lives on in these hilarious animations and live skits. 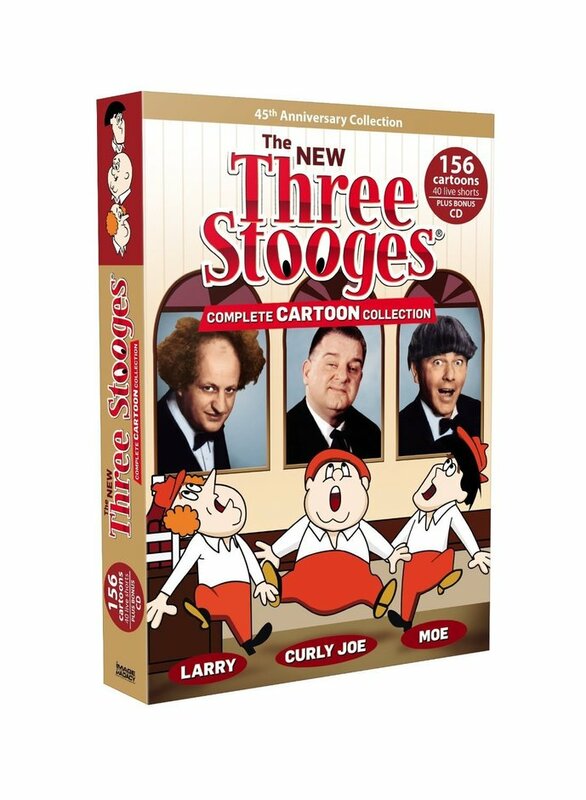 It is so nice to have all of the Three Stooges best stuff in one awesome collection. I actually got my kids to watch it with me and they are definitely becoming fans. I could watch it for hours. I love it! Disclaimer: I received a copy of this DVD set to review and to keep. All opinions are my own.